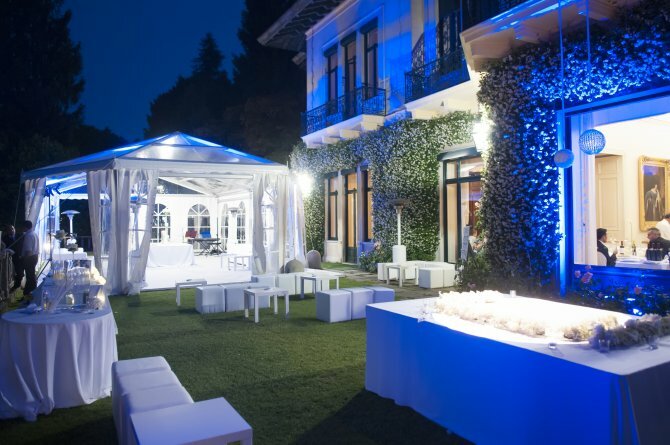 Lake Maggiore (Lago Maggiore) is the perfect backdrop for a wedding celebration on the Italian Lakes, guaranteed to provide the most special of settings. Lake Maggiore enchants every visitor who comes to her shores, thanks to the elegant villas and stunning natural scenery of the lake area. The lake enjoys an enviable location, which starts in the Southern Alps and ends at the western edge of the Po Valley. Found in both the Italian regions of Lombardy and Piedmont, as well as the Swiss canton of Ticino, Lake Maggiore enjoys a unique blend of different cultures, architecture and natural settings. 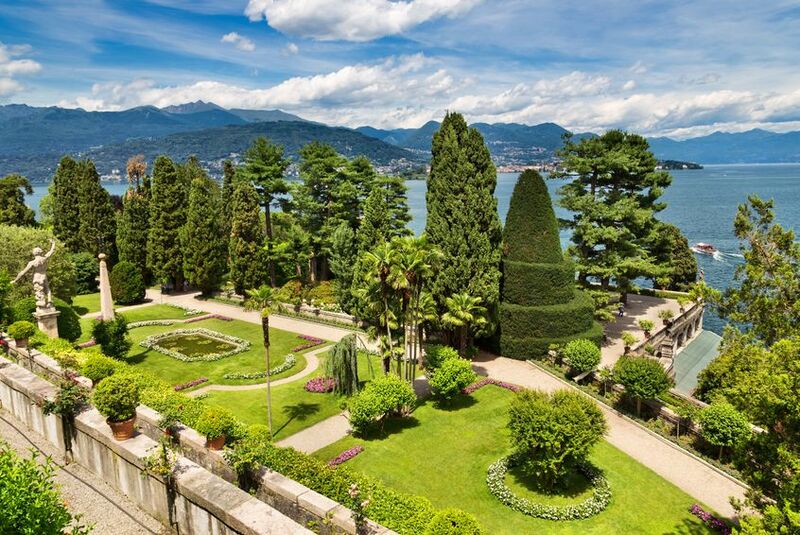 The fabulous villas are a particularly iconic feature of Lake Maggiore, thanks to their elegant architecture and beautifully landscaped gardens. Lake Maggiore boasts a number of unique wedding venues that include villas, restaurants and hotels. The iconic villas come highly recommended and are hugely popular as wedding venues. 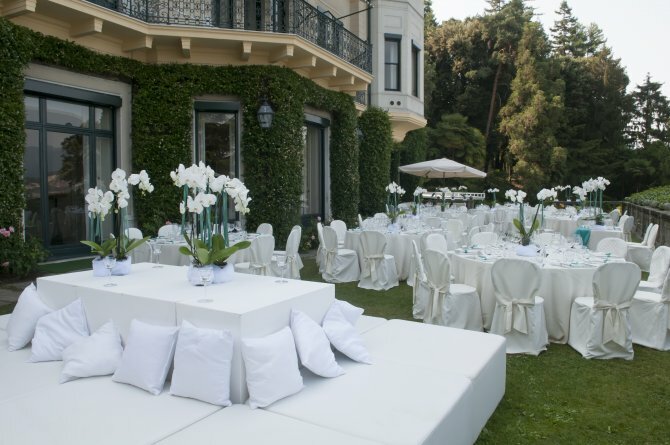 Lakeside villas are particularly ideal for outdoor weddings thanks to their beautifully manicured gardens. Many of Lake Maggiore’s restaurants also offer up an ideal wedding venue, with beautiful views across the river, elegant ambiences and regional delicacies for your guests. There are also numerous venues that can cater for civil wedding ceremonies. 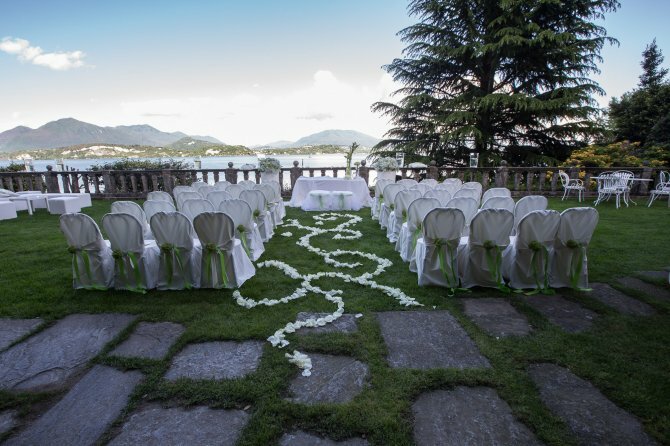 A popular venue for a civil ceremony includes the Villa Giulia, which enjoys a beautiful setting thanks to its terrace overlooking the lake. Civil ceremonies can also take place in various villages situated around the lake. For a rustic Italian Lakes wedding you cannot imagine a better setting than a traditional fishing house such as on the Fisher Island (Isola dei Pescatori), one of the famous Borrormean Islands. With its rustic charm, beautiful port and narrow cobbled streets, Isola dei Pescatori is a dream setting for an rustic Italian Lake wedding. To make your day truly memorable, treat your guests to a boat ride on the Lake Maggiore. There’s no better place to experience the beauty of Lake Maggiore and the buildings upon its banks than from the water. Take a trip to the islands of the lake, stopping for an aperitif, ice-cream or espresso, a perfect addition to your special day. A boat trip is the ideal way to complete your wedding on the idyllic Lake Maggiore.